William Sanford Bill Nye – an American science educator, television presenter and mechanical engineer popularly known as Bill Nye the Science Guy – is all set to return on television. The title of the new TV Talk show was announced back in August last year. It did sound funny and even a little goofy. But it couldn’t have been more relevant. 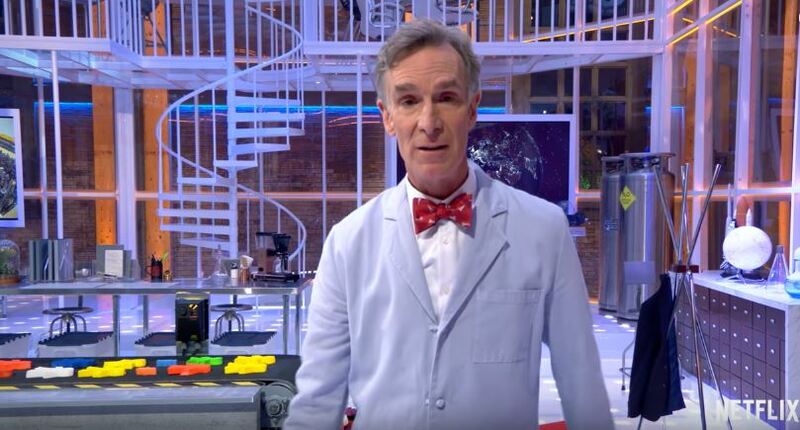 Bill Nye will return to television with “Bill Nye Saves the World” that will debut on Netflix on April 21. Earth Day, just fyi, is on April 22nd. The Netflix show consists of 13 episodes, with each episode focusing on tackling a topic from a scientific point of view, attacking and dispelling myths and refuting some of the most popular anti-scientific claims made so far. The show will also include panel discussions, celebrity guests and other information from a team of correspondents in addition to Nye’s signature laboratory experiments. It’ll also feature special correspondents like model/entrepreneur Karlie Kloss, “Space Gal” Emily Calandrelli, and comedian Nazeem Hussain. The show is produced by Bunim/Murray Productions, with Gil Goldschein and Julie Pizzi serving as Executive Producers. Mike Drucker is the Head Comedy Writer and astronomer, award-winning science communicator Phil Plait is the Head Science Writer for the show. Michael Naidus is the showrunner and Executive Producer. Best known as the host of PBS children’s science show Bill Nye the Science Guy (1993-1998) and for his subsequent appearances in popular media as a science educator, Bill Nye is currently the CEO of Planetary Society. Each of the 100 episodes in Bill Nye the Science Guy aimed at teaching a specific topic in science to a younger audience. He has also written several books as The Science Guy. He holds several United States patents, including one for educational magnifying glass and another for ballet pointe shoes. We can’t wait to see him back with funny, crazy, wacky scientific experiments!